Gigi is "Fearless" in Sand/Sea as She Hits High Octane Speed "V"
Gigi Hadid Makes Some Waves in “Fearless” by Mario Sorrenti for V Magazine 114, Fall Preview ’18. The Fire of Female Ferocity is Found as Gigi Becomes One With the Sky, Sea & Ground. A Wild Child at Heart… she hits the waves on a spirit daze, a female hunter from whence she came. Call it cocky… call it fun as art and action fuse into one. She hits the Miami shores on a Fendi Sea-Doo, while, tearing up the sand in a monogrammed, Philipp-Plein dune-buggy. 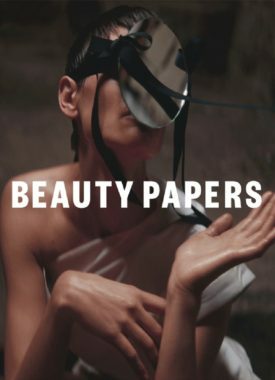 Vanity is played out in poetic form as Saskia de Brauw, Guinevere Van Seenus, Dilone & Achok come together in ‘The Narcissism Myth‘ shot by Vincent van de Wijngaard for Beauty Papers, S/S 2018. 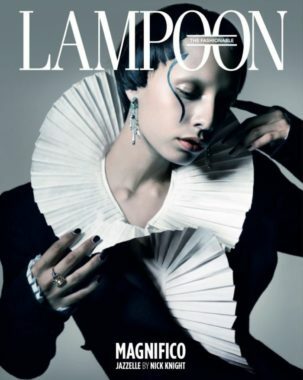 Sedona Legge wears nobility well in “Hot/Holy, Crown Majesty” by Rankin, The Fashionable Lampoon Vol #13. Modernity makes it’s way to the Monarchy, as Sedona puts a new twist on this royal topic. Art evens out the playing field, allowing us common folk to explore the crown jewels. Sedona honors her Crown(s) with sublime grandeur, a character for which she exquisitely plays. Resplendent imagery is touched with avant-garde magic. Julia Hafstrom becomes one with the leopard in this exquisite editorial by Kristian Schuller for Harper’s Bazaar Turkey, December 2017. I see this story as symbol of strength. The spirit of resilience that resides inside our collective souls has been waiting patiently to be called to duty. We have learned to harness our power. We have witnessed a significant shift in our struggle for Equality. Is is she who mimics the animal or the animal the mimics she? 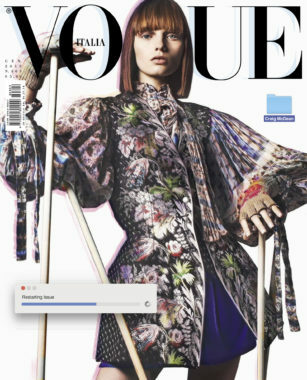 Women Are Opening The Mind's Eye "Restarting Issue"
Craig McDean celebrates the fire of the female spirit in Vogue Italia, January 2018. Venturing through the valley of the mind’s eye this tale takes us on a trip through the annals of time. Thinking and feeling merge into one, as this story aims to display a vast amount of scholarly expression. Erudite imagery is a visual expression of learned knowledge. We are not bound by the limits of life, rather, we are set free by what we are inspired to become. Alasdair McLellan covers Models/Muppets for Love Magazine, Fall/Winter 2017. 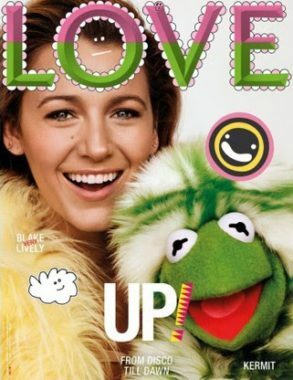 In the furry, funny world of modern Muppets, Kermit the Frog, commits the cardinal sin of falling for fur. Playfully poetic, each image is a projection of all of your childhood wonder wrapped into a distant memory. The chaos of the couture comes to life, with Miu Miu making us believe that we can be apart of this festival of high fashion. Models are primed and ready to party in “The Celebration Issue” by Mert & Marcus for Vogue Italia, December 2017. Decadence is upon us as each shot heralds the coming of a brand new year. The animalistic nature takes hold as each beautiful creature is primed and ready to go. All bets are off as Mert & Marcus slide into a story of sheer decadence. Boundaries are left behind as images dare to take us deeper into the mindset of model-mania. Jazzelle moves smoothly through the camera lens like water through a hose in “Magnifico” by Nick Knight for The Fashionable Lampoon, Fall/Winter 2017. She flies on high to the middle of the sky where upon she meets the mysteries of herself. Venturing forth as an errant soul seeking salvation. Traveling through the mine fields of life every interaction makes her lighter on her feet. I reach for a sign to quiet my mind… seeking silence in the shadows I find solace in the light. 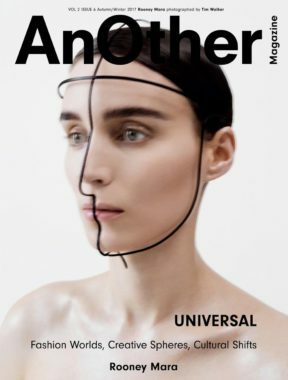 Rooney Mara explores Fashion Worlds, Creative Spheres, Cultural Shifts in “Universal” by Tim Walker for AnOther Magazine, 09/17. Never before have I been so moved by the human condition. Viewing this editorial I was touched by this vessel of the visual. Watching Tim Walker turn his talents toward the extreme we witness his vision erupt. The distinction of being passes over the page, all providing a picture of poetic intent. 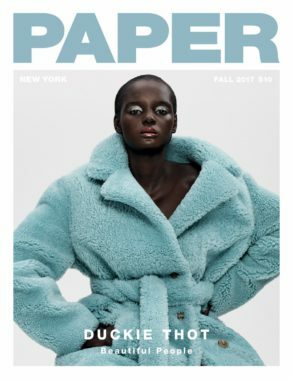 Duckie Thot brims with intensity in “Beautiful People” by Paola Kudacki for Paper Magazine, AW 2017. There is some beauty that just sits and waits for display, while others explode in a show-stopping way. It’s in the subtle shifts of time/place that we come to view this phenomenon. Duckie, a sweet nickname she was adorned with at the age of six. Her otherworldly beauty begs to be attached to a Doll figure, hence her nickname, Black Barbie. 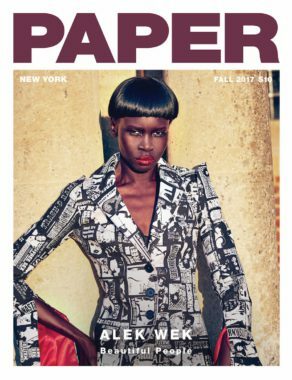 Alek Wek Devours the Decadence in "Beautiful People"
Alek Wek takes an evocative ride to the other side by Ellen von Unwerth, for Beautiful People Issue of Paper Magazine, Fall 2017. An artful revelation is set to fly as we embark on a trip to the center of the mind’s eye. Art and excess blend in a bouquet of riches, as images project a sense of sordid pleasure. Alek doesn’t hold back as she embraces this role with a kind of joie de vivre. Wrapping herself around the idea of nouveau riche’, she settles into the neighborhood of the obscenely wealthy. 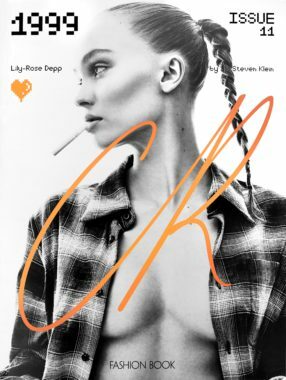 Lily-Rose Depp goes back in time “1999” by Steven Klein for CR Fashion Book Issue 11. Born in ’99, Depp devours the scene with pictures that mimic shots of her mom (at the same age), captured by Klein himself. So, while some see this as over-exposure of an innocent and impressionable, 18-year-old girl. In truth, this young women comes from the fertile ground of Johnny Depp & Vanessa Paradis – I think this is relatively tame.